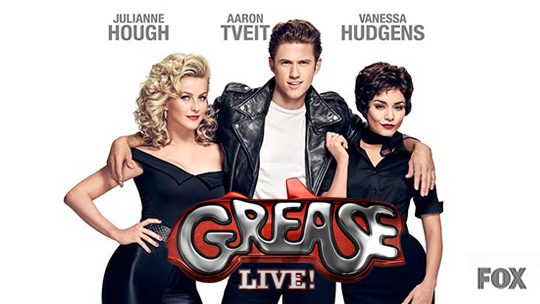 The Spotlight by Brittany Shawnté: REVIEW: Grease Live! Grease is the word! Last night (January 31). the anticipated Grease Live! event premiered on FOX and it was a pretty good show! The show brought together different actors, singers, and dancers for the legendary Pink Ladies and T-Birds: Julianne Hough as Sandy, Aaron Tveit as Danny, Vanessa Hudgens as Rizzo, Carlos PenaVega as Kenickie, Carly Rae Jepsen as Frenchy, Keke Palmer as Marty, Kether Donohue as Jan, David Del Rio as Putzie, Jordan Fisher as Doody, and Andrew Call as Sonny. Using various elements and songs from both the original stage production and the 1978 film, director Thomas Kail was able to capture the great energy of this classic musical. Just like with The Wiz Live, I definitely didn't want to compare Grease Live too much with the 1978 film, which a lot of us have seen and love. Obviously, nothing is touching the original, so it's no point of nitpicking based on that. What I really liked about this show was that, though it was live, it was not on an actual stage. It was broadcast from Warner Bros. Studios, with the cast members moving from set to set through the production. Definitely a lot of work, but it was great because there was so much space to have the various sets and props needed (Rydell High, Frenchie's room, the Carnival, etc). I was pretty impressed by the singing and choreography, which used most of the same elements from the original work, but incorporated new flavor too. The staging and costuming was truly incredible and elaborate, and stuck to the original 1950s setting. Kudos to the crew with all of these cameras who moved just about flawlessly (there was a little bit of an issue during the "Born to Hand Jive" American Bandstand moment where audio was lost and video was glitched...but we'll let that pass). Let's talk the Pink Ladies and the T-Birds. Julianne did a pretty good job as Sandy. Her dancing, of course, was on point, and her singing was pretty good. I have to give her respect for her version of "Hopelessly Devoted To You," because she definitely gave her all on that! Unfortunately, I was not as impressed by her love interest. Aaron as Danny was average in terms of his acting. Though he's a good singer and a decent dancer, I didn't truly believe him as a bad boy. He could've brought more energy and a little more natural. However, when it came to his moments with Julianne, they definitely brought the chemistry together. Carly Rae was really cute as Frenchie. She definitely captured Frenchie's personality throughout the entire show. Now, I love some Keke, but she definitely overplayed her role as Marty, as well as Kether as she played Jan. While you want to capture these characters well, it still should feel natural, and I didn't feel that with these two. However, Keke really brought it with her solo on "Freddy, My Love," which was featured in the stage production of Grease. As far as the other T-Birds, Carlos, David, Jordan, and Andrew definitely had great friend chemistry as this legendary crew. I LOVED Jordan's vocals and guitar skills on "Those Magic Changes!" Going to check out more from him. 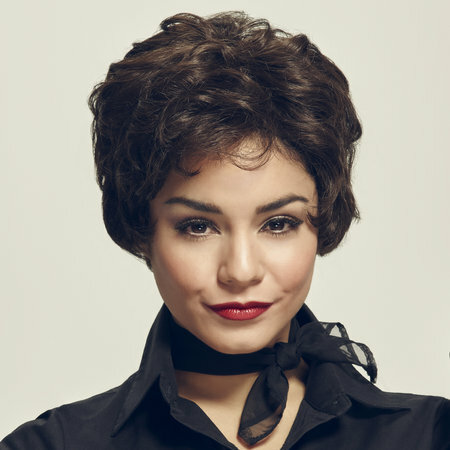 I have to give MAJOR kudos to Vanessa Hudgens, who killed it as Rizzo! Sadly, Vanessa's father passed away of cancer on January 30, the day before the broadcast. I personally don't know if I would've been able to hold it together, but she was a true pro! She brought the pettiness in her performance of "Look at Me, I'm Sandra Dee," and later the emotion and vulnerability in "There Are Worse Things I Could Do." I already knew that she was more than Gabriella Montez from High School Musical, after her performance in 2013 flick Gimme Shelter, but she proved herself again in this one. Vanessa really shined! One of my biggest issues was with the live audience used. It was a good idea in theory, because it allowed for space to be filled up in certain scenes like the American Bandstand and carnival scenes. It also allowed Maybe I'm being a little picky here, but I was distract at multiple points by the fact that you had extras sitting with them in costume, but the audience were just in their regular clothes. I guess maybe you can't expect a network to fit audience members with costumes, or tell them to dress up in 50s attire, but I wish they did. There was also a lack of energy at times, which took away from certain moments of the show. I also REALLY didn't like that race at Thunder Road. Though there's only so much you can do, and I have to applaud FOX for trying, it was still weird as you can just clearly tell the cars were standing still being shaken from left to right. I almost wish they had filmed that scene and played it live, but what can you do? The climactic Carnival scene was absolute perfection to me! Julianne and Danny killed the chemistry together "You're The One That I Want" and the entire cast really did well as the show ended with the classic "We Go Together!" I was impressed by the entire set up! Overall, it was definitely a good version to watch. It's already gotten several rave reviews. I'm actually really liking these live shows...I look forward to reviewing more! 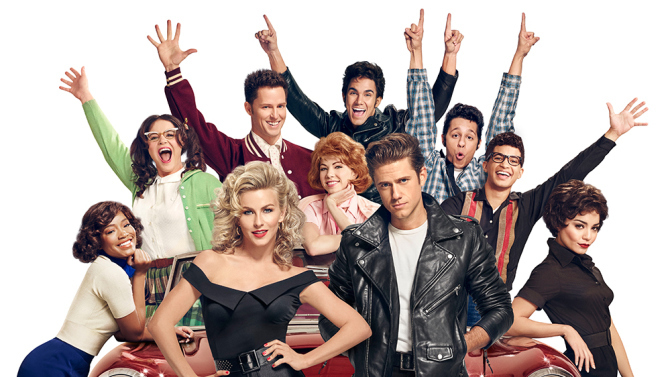 What did you think of Grease Live?